At Arcisphere Technologies, we strive to transform inspiration into reality. Our expertise stems from the founders of Arcisphere, who are former IBM employees. Using the IBM Rational product line, we make the end-to-end development process as simple as possible for our clients. We employ only the best strategies and practices to simplify the development process while maximizing productivity and efficiency. 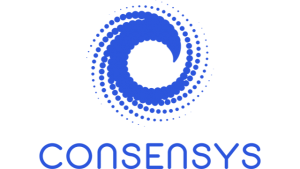 ConsenSys is a market leading blockchain technology company. Our vision is that blockchain technology allows us to progress to the next generation of the Web that we call the “Web .0”. We believe the Web 3.0 will serve as the foundation for new economic systems that are more open, efficient, and accessible. Our Mission is to enable that progress by building platforms, applications, and tools for Web 3.0, while offering services to ensure they are useful to our customers. And as home to many of the world’s leading blockchain experts, we are proud to collaborate with others in the space on open, shared infrastructure. Cointelegraph is the leading media in the crypto space. It covers everything related to the decentralized technology, cryptocurrencies and fintech. Available in 6 languages, it provides unique insights from reporters based all over the world. Cointelegraph focuses on unbiased reporting, education and research on the latest financial innovations. PaperBlockchain is the source of the latest news on cryptocurrency. Industry updates, information & Resources from Blockchain Technology, Bitcoin to Altcoin. CryptoNewsZ is a News Publication that brings the latest news on Cryptocurrencies, ICOs, DApps, and Blockchain. We aim to evolve the Crypto World and help people understand each and every concept. Ours is a commercial website providing exclusive news and information with an extensive reach of users across the globe. Founded in June 2014 NullTX is a top cryptocurrency and technology news site focusing on fintech, blockchain technology, privacy, and any other trending technology news. Our motto is to provide purely honest reporting and educate our readers regarding the latest scams and potential vulnerabilities which are affecting users.